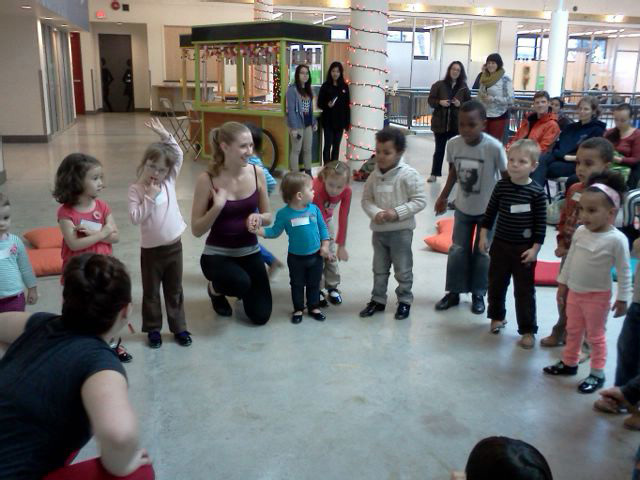 The weekend was all about tap dancing as families gathered for a fun filled 45-minute workshop with TapCo. at the ArtStarts Gallery in Vancouver and at River Market in New Westminster. The session began with a tap dancing sequence which had many participants eager to learn some tap-dancing skills. Thanks to TapCo., who provided participants with tap dance shoes, folks were encouraged to put them on and dance up a storm! 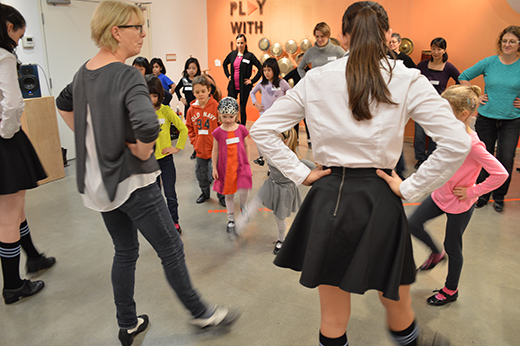 To begin the dance workshop, delighted dancers of all ages livened things up by doing the shuffle step, moving back and forth and exploring the heels and toes of their tap shoes. 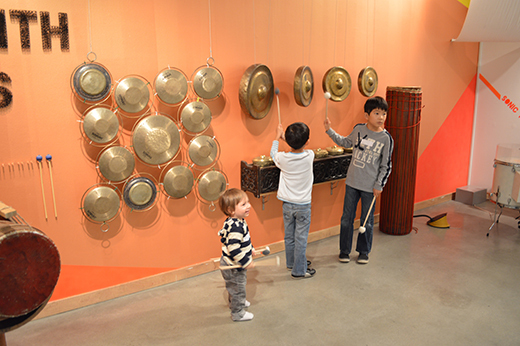 Participants practiced their concentration skills required to cohesively match their clapping hands, the rhythm of the songs and their movements required to tap away. Then, while clapping their hands along to the beat, and counting out loud and moving their feet, a very excited crowd was invited to participate in a really engaging routine. TapCo. broke things down slowly to make sure everyone was able to follow along comfortably and one step at a time. Happy participants learned new techniques and practiced some toe to heel sequences. 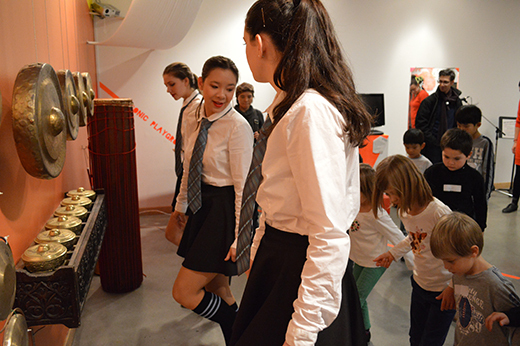 Tapping to the theme song to Addams Family, participants put their new skills to the test! With heels and toes striking the floor, excited participants also clapped along and galloped gracefully like horses in a cohesive tap dance circle. As the workshop came to a close, participants even got into the festive spirit by practicing their tapping techniques to the rhythm of songs such as "Santa Baby." 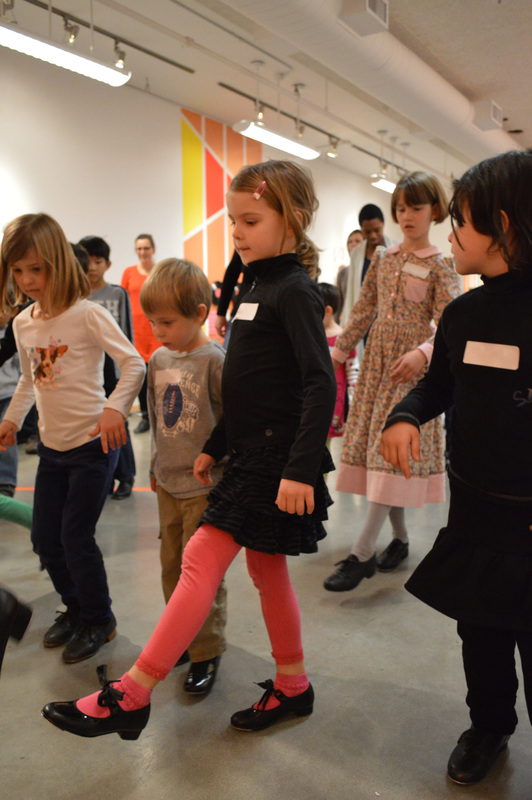 We're glad that these events gave families the chance to take part in an exhilarating dance workshop and explore the various rhythms involved with the art of tap dancing that will be sure to have everyone tapping away again soon! A huge thank you to TapCo. for making us feel the beat and inspiring the dancer in all of us! 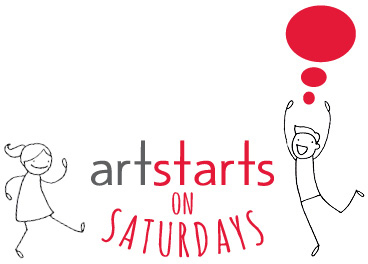 Check out lots more photos on Facebook from ArtStarts on Saturdays and at ArtStarts at River Market. Please note that we'll be taking a break over the holidays. 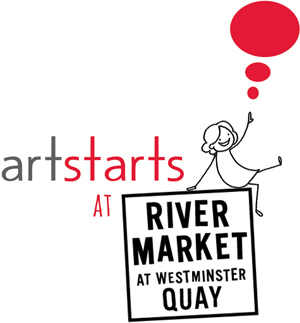 Stay tuned for the next ArtStarts on Saturdays and ArtStarts at River Market events at the end of January 2014. Thank you to Westminster Savings for their generous support of the ArtStarts at River Market.